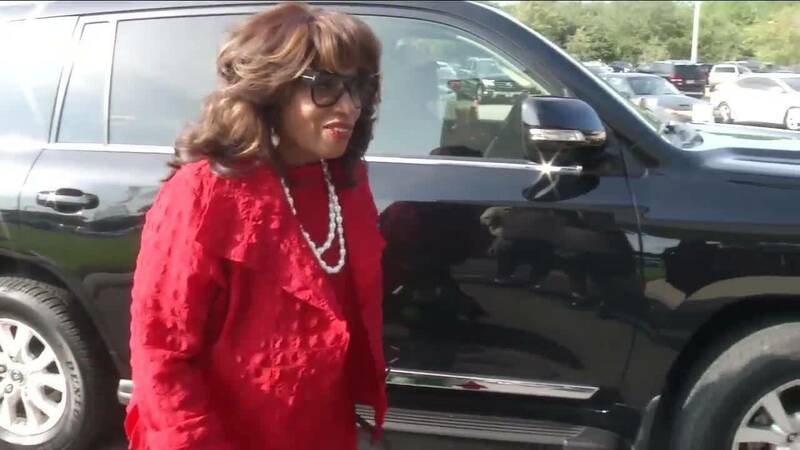 JACKSONVILLE, Fla. - Hurricane damage to Corrine Brown's Jacksonville home has prompted her attorneys to ask for a delay in the former congresswoman's sentencing hearing on federal fraud charges. The hearing is currently set for Nov. 16, but her attorneys filed a motion Tuesday, asking to push that date back. The 12-term congresswoman from Jacksonville was convicted in May of taking money raised for the One Door for Education Foundation and lying on her taxes and congressional financial disclosure forms. Prosecutors convinced a jury that Brown used the unregistered charity as a personal slush fund. She was found guilty on 18 federal mail, wire and tax fraud charges, but Brown’s attorneys said they have had a hard time preparing for her sentencing hearing, because Brown was displaced by Hurricane Irma. The attorneys also said there were items and papers they planned to use during the sentencing, such as awards and letters Brown had received, that were destroyed by flooding from the storm. The motion asks for at least a four-month delay. Brown’s attorney, James Smith, said he has already contacted prosecutors, who said they object to a delay. The judge has given prosecutors until 5 p.m. Thursday to respond to the motion. Today we filed a motion to continue the sentencing in this case. This motion is filed in good faith because the Congresswoman, like many people in the Jacksonville area, was personally affected by Hurricane Irma. Her home was destroyed and as a result, she has had a difficult time assisting her defense team with the preparation for sentencing."